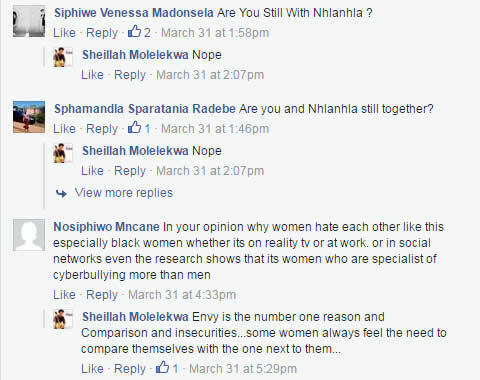 Big Brother Africa 2014 'Hotshots'; Sheillah Molelekwa and Nhlanhka Nhlapo are no longer an item as was confirmed by the former. It's always sad to see once loved up pairs not seeing eye to eye or no longer together for whatever reason(s). 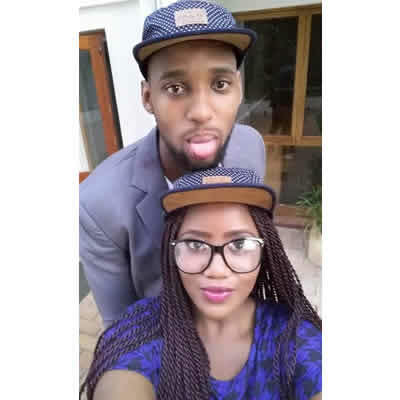 The Botswana beauty and South African lad broke it off after almost two years together! The reason behind their break up was based on the fact that they invested so much time in their respective careers and couldn't cope with the pressure that comes with sustaining a long distance relationship. Sheillah confirmed on social media during a question and answer sensation during which followers asked her about her relationship and without mincing any words, the outspoken dame shared with them that they are no longer an item something that was met with disappointment though they wished her well for the future. Well, we all know what they had was beautiful on and off the telly and would still like to wish them the very best!